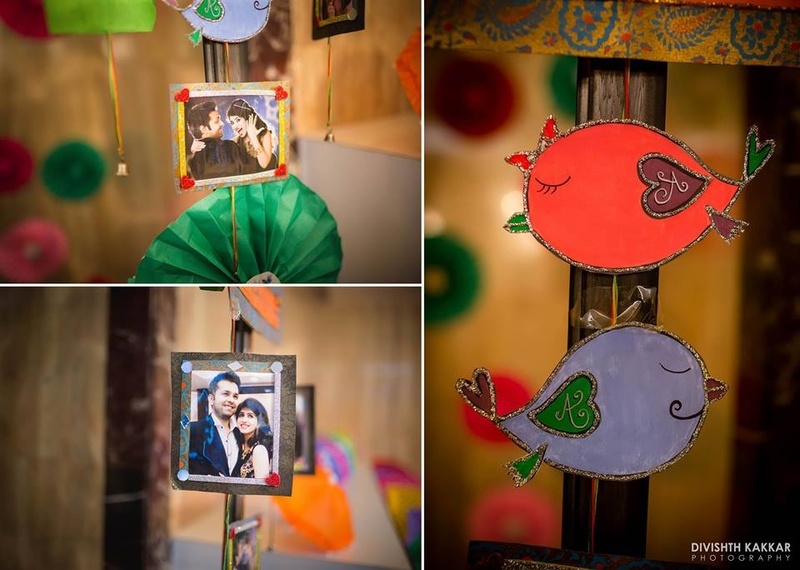 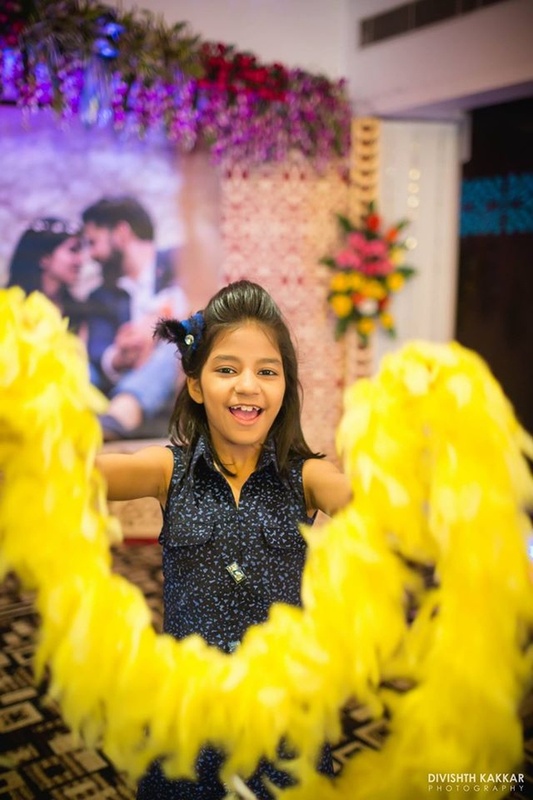 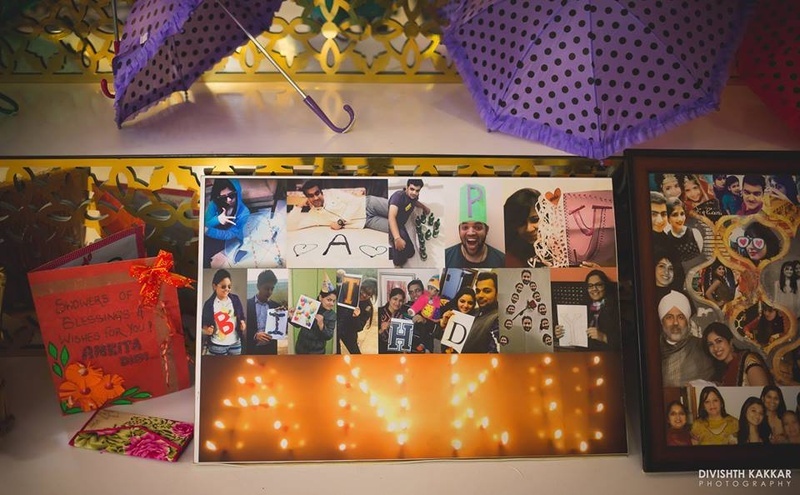 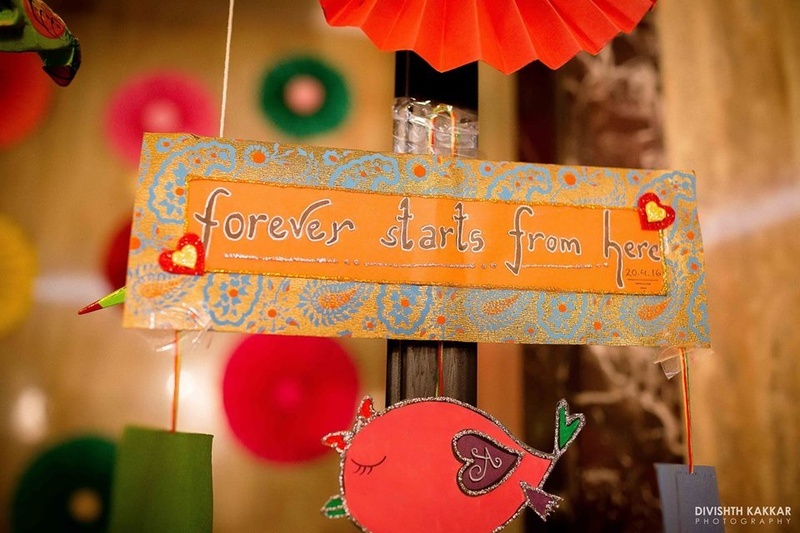 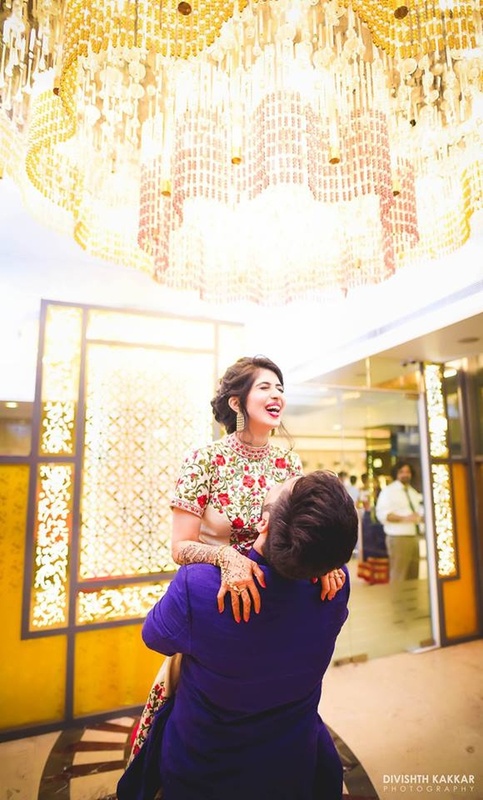 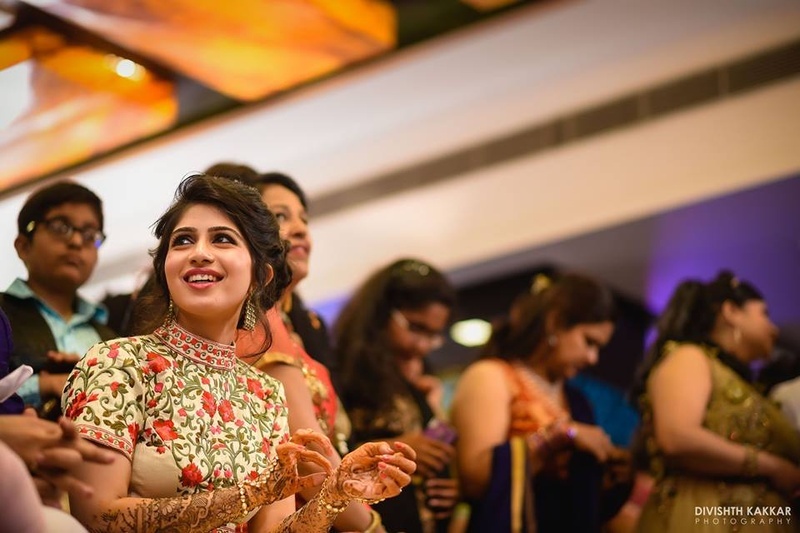 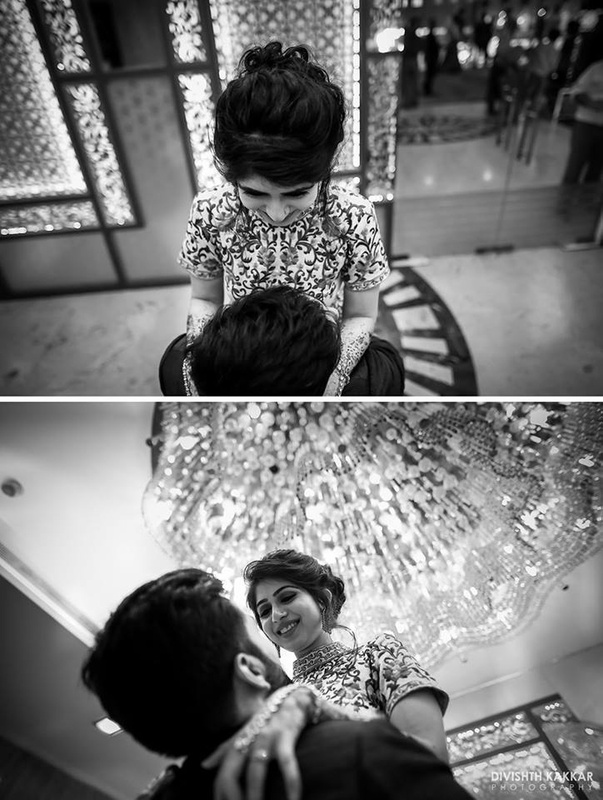 The adorable wedding moments are not just a treat to the eyes but will also capture your heart. 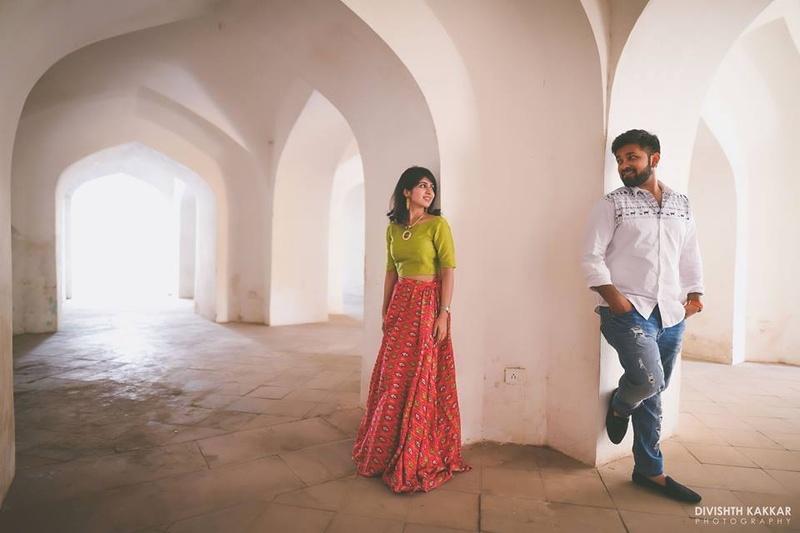 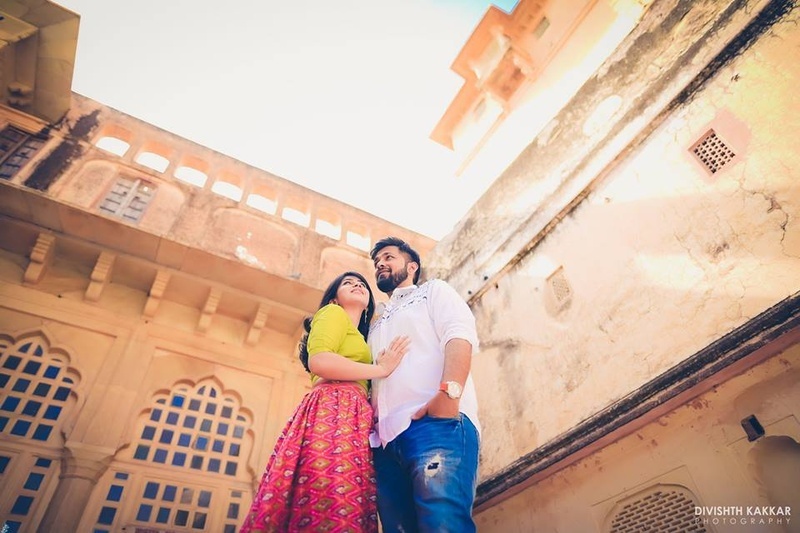 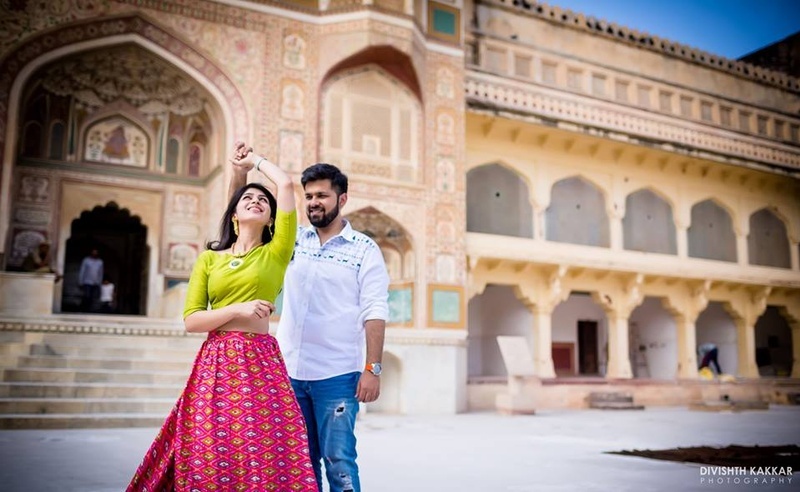 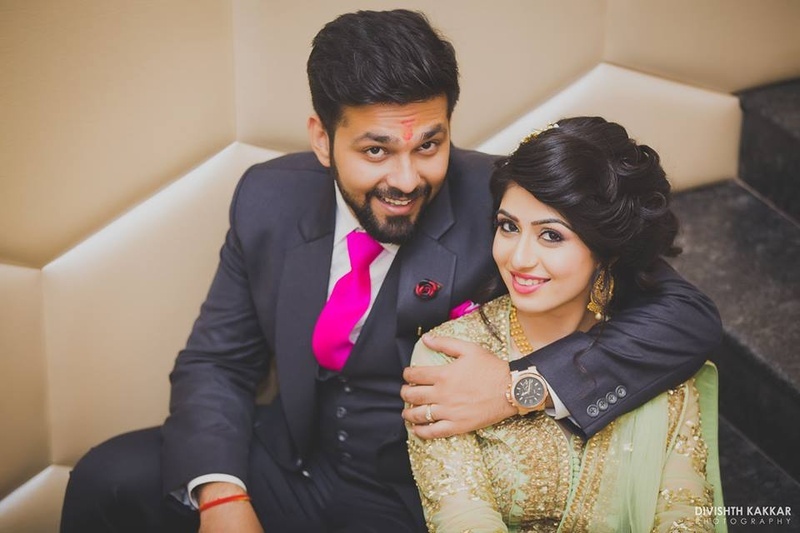 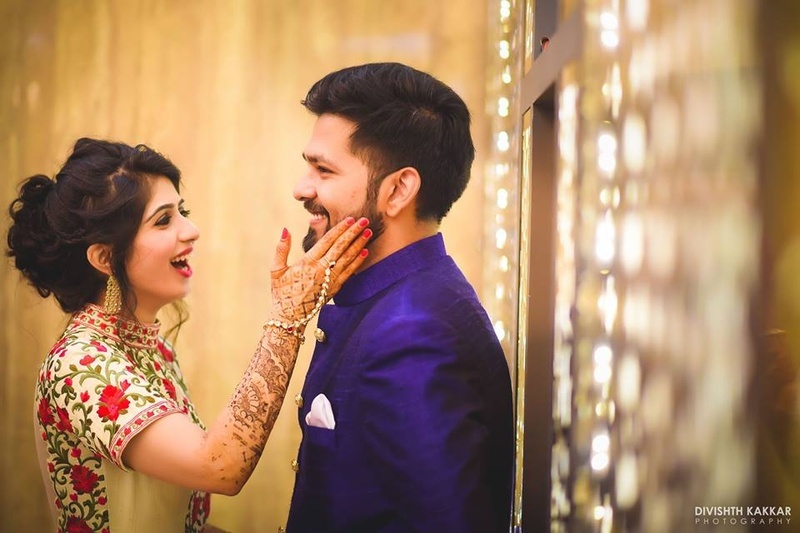 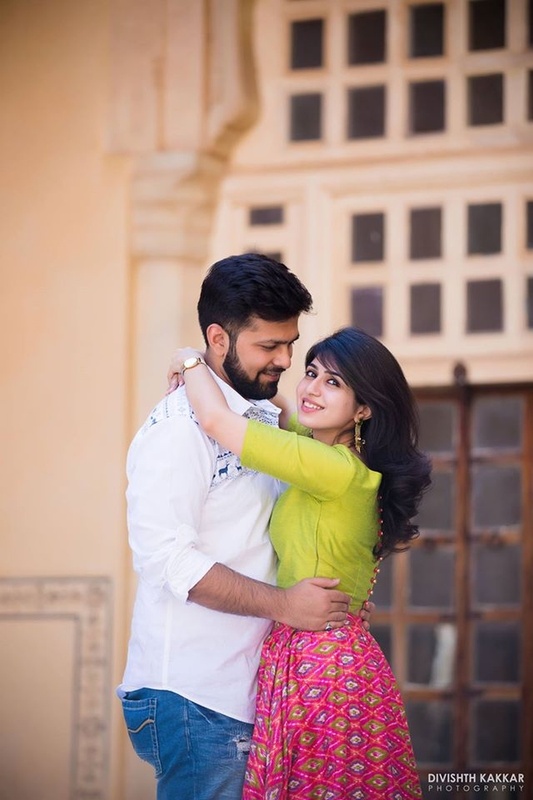 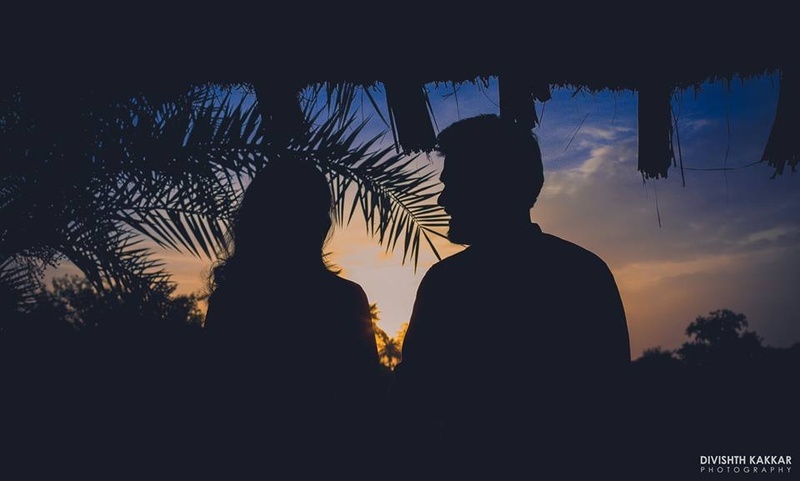 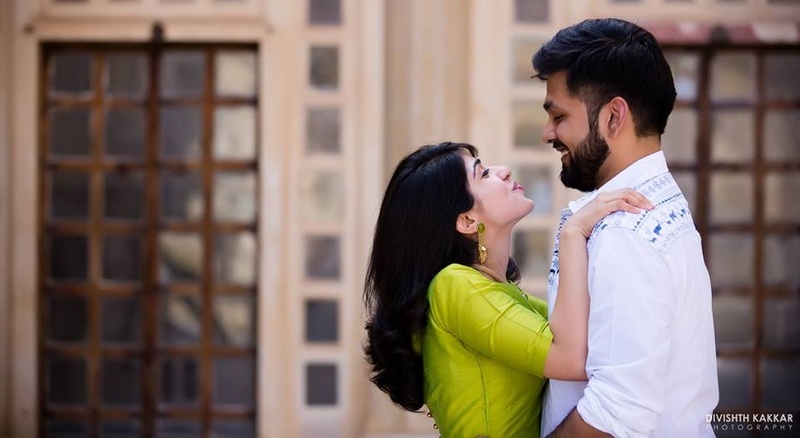 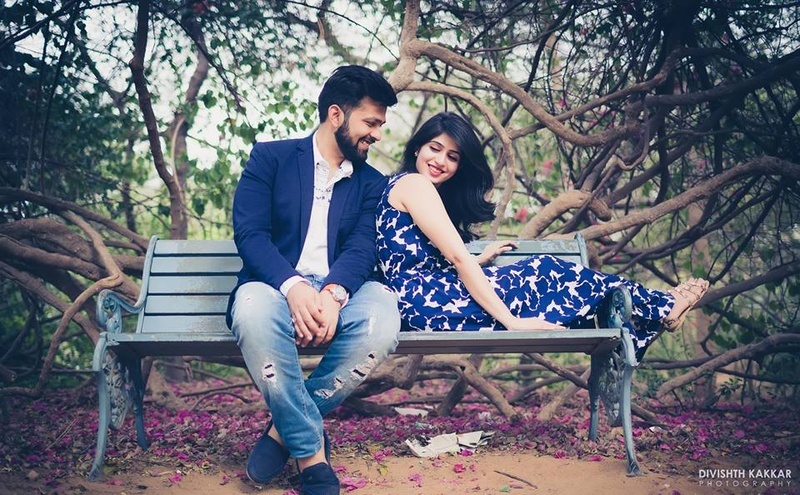 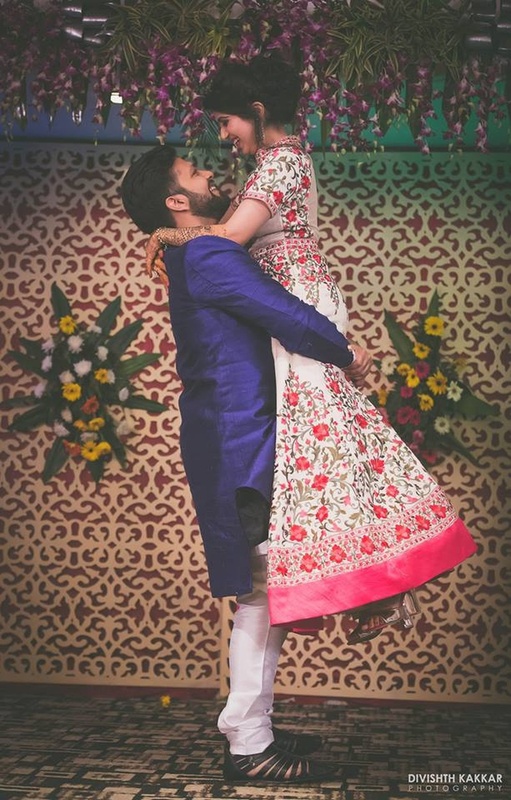 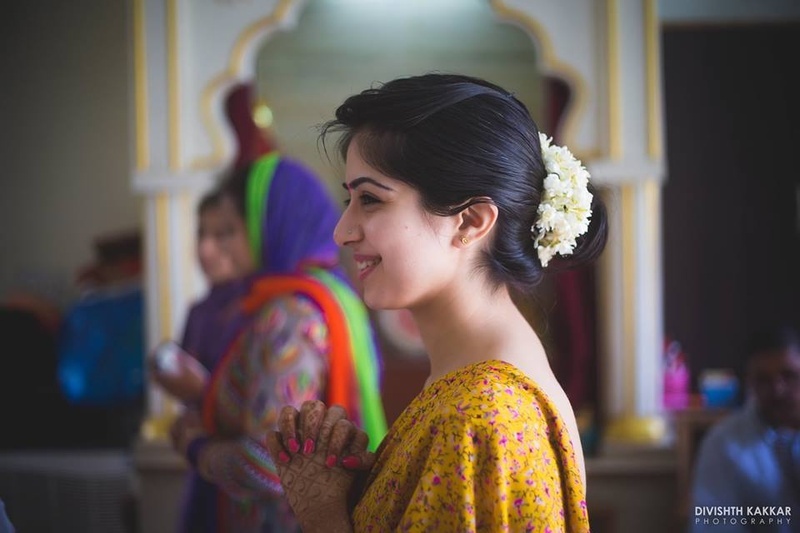 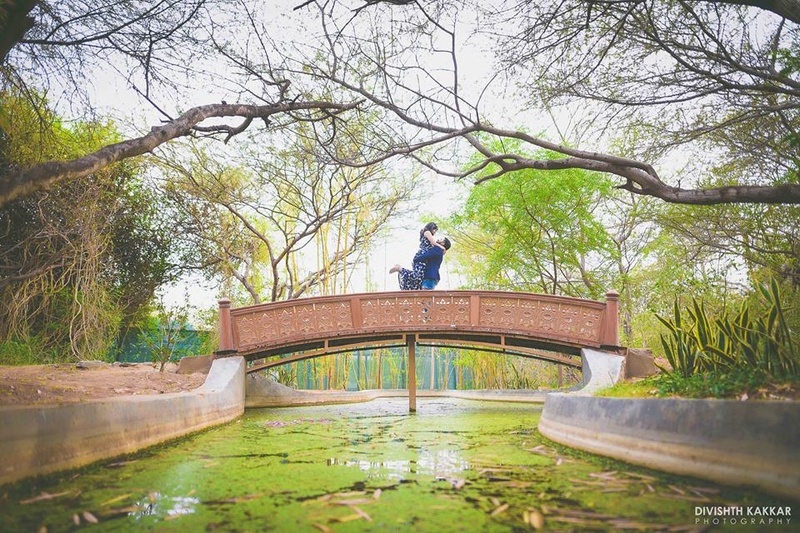 Ankita and Akhil’s wedding days started off with a romantically cute pre-wedding shoot at Nahargarh Fort. 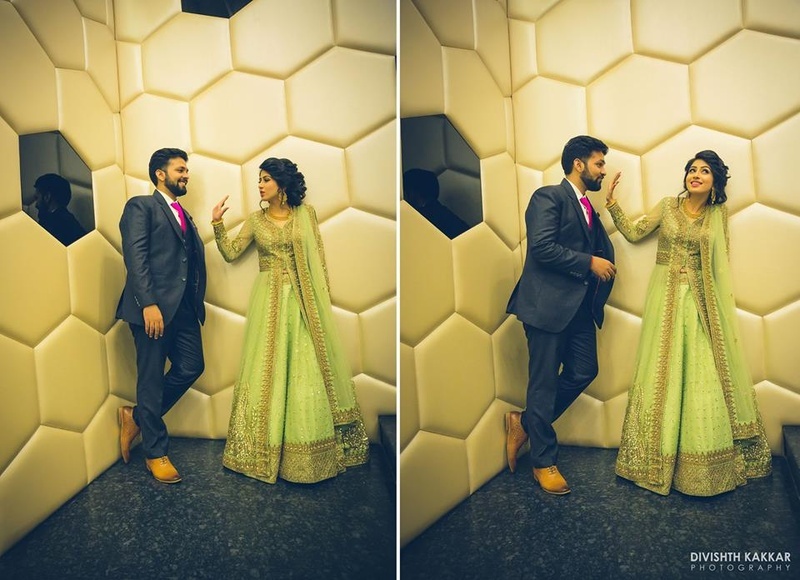 We loved how in love this adorable couple seemed to be! 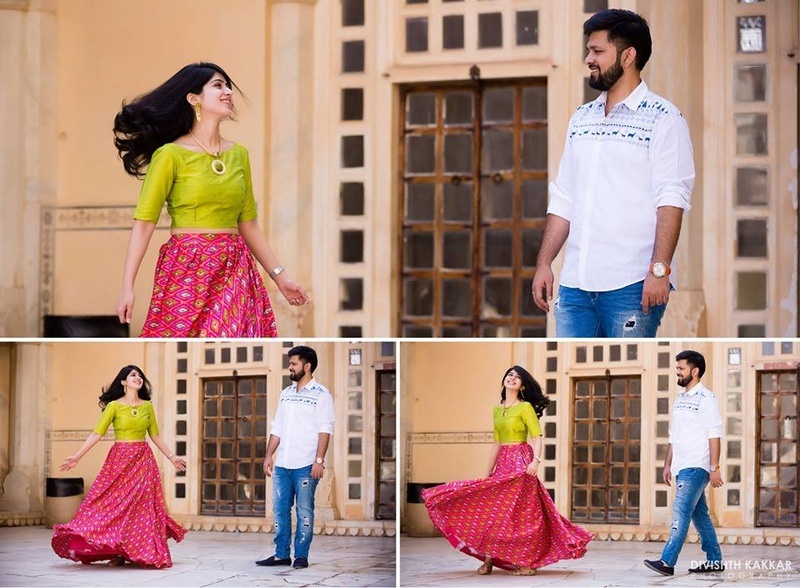 The casual pink and lime-green ensemble that Ankita wore, along with the Akhil’s classic white shirt and blue jeans combo added to the serene, relaxed vibe of the location. 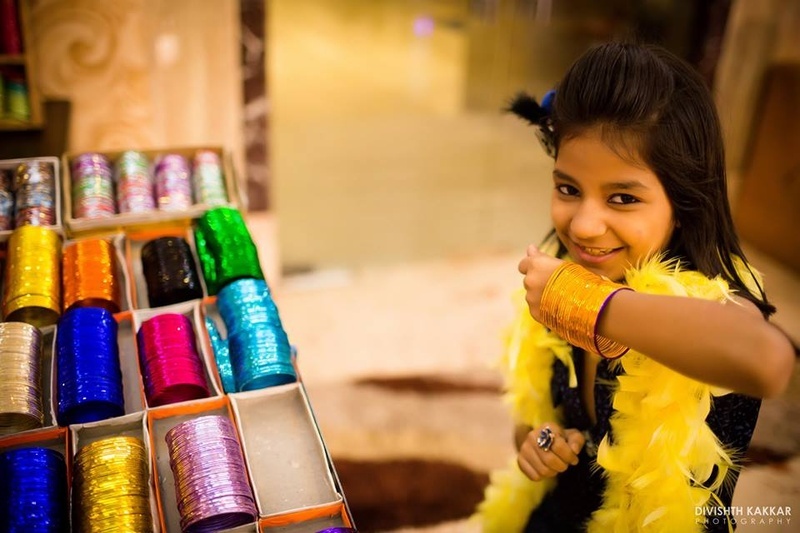 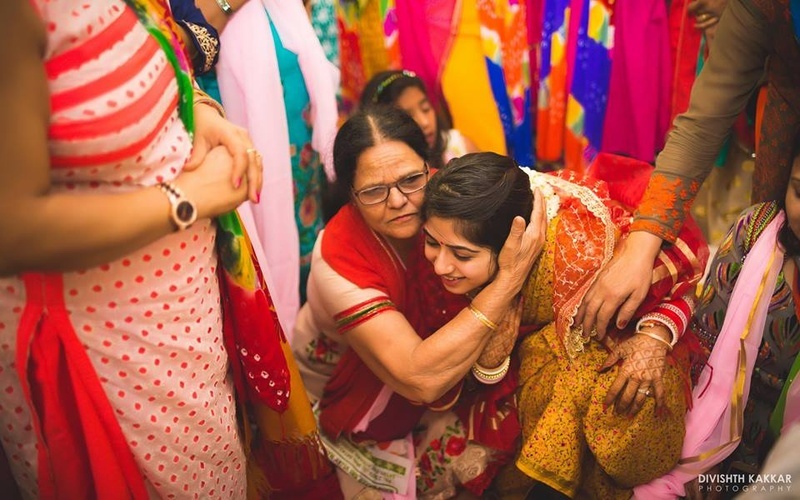 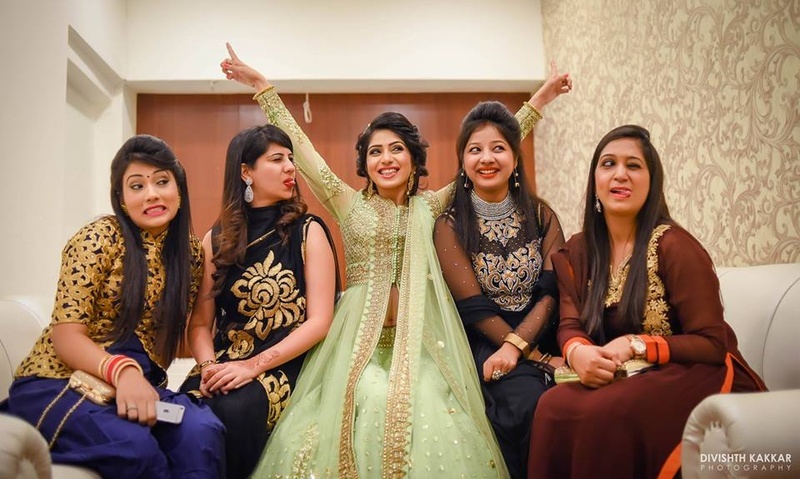 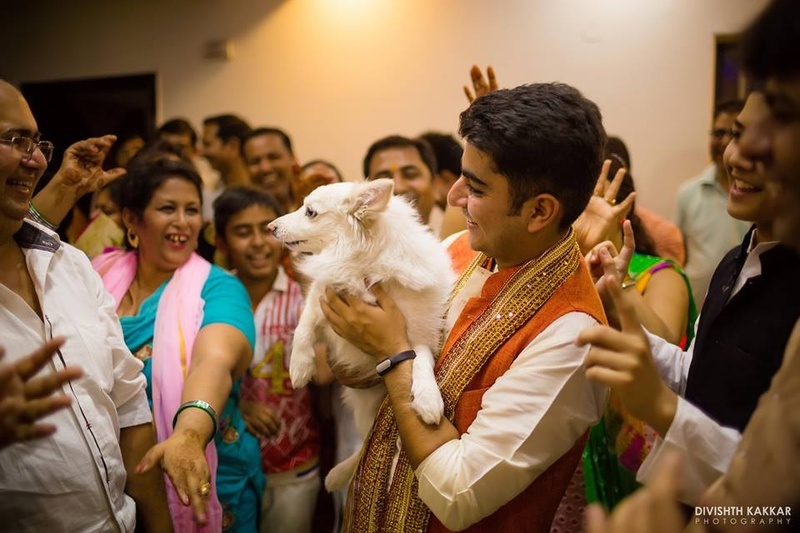 What followed was a Mehndi function with near and dear ones. 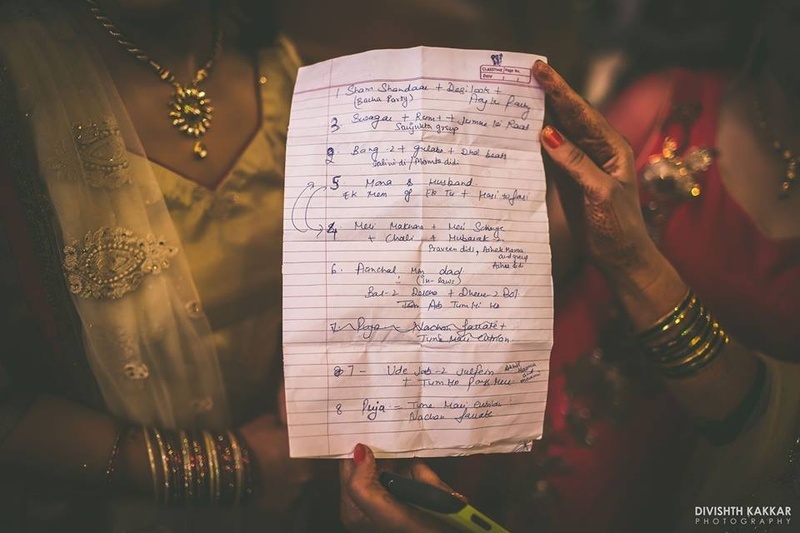 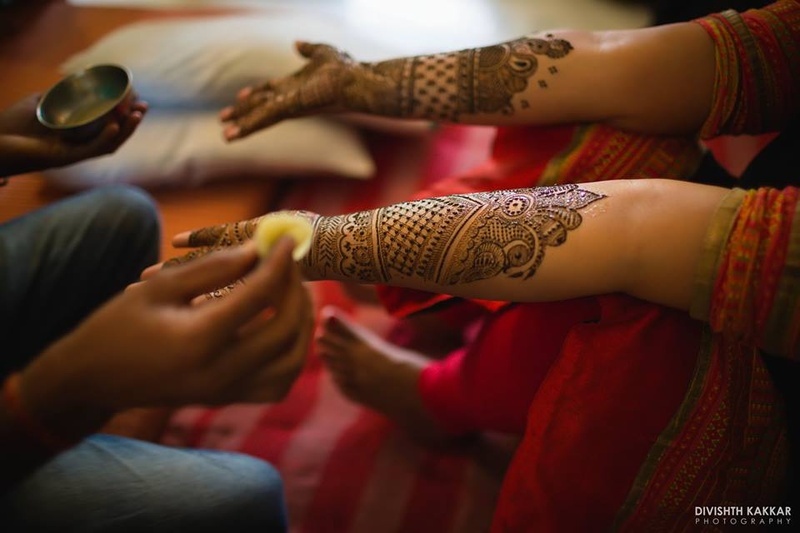 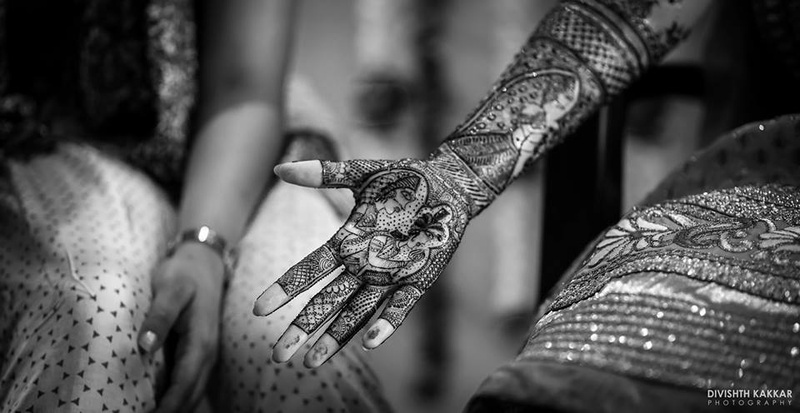 Look out for the unusual, intricate Mehndi patterns that the bride’s hands and feet were decorated with. 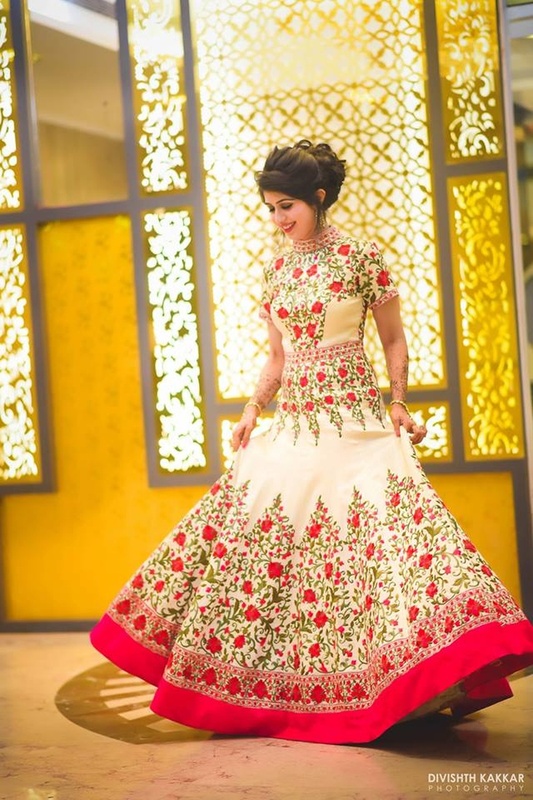 The wedding gala ensued and the Sangeet saw our bride looking gorgeous in an off-white outfit with green and red floral embroidery. 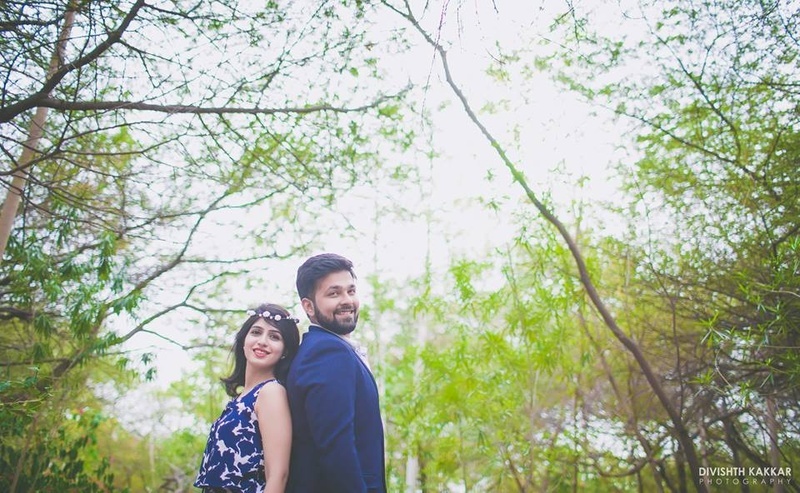 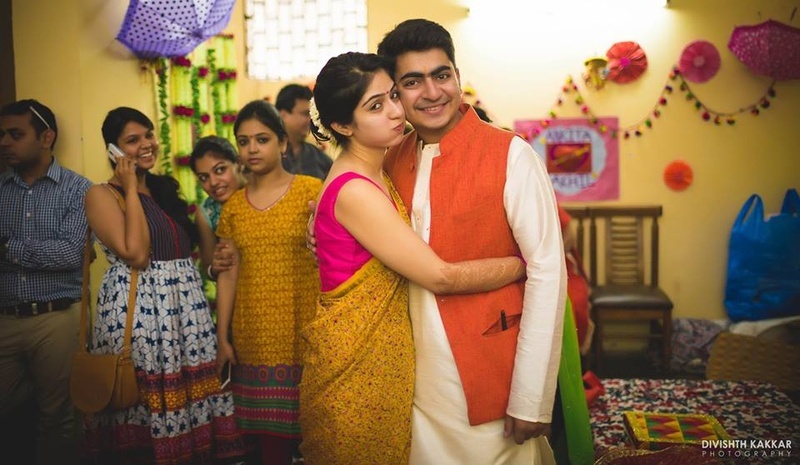 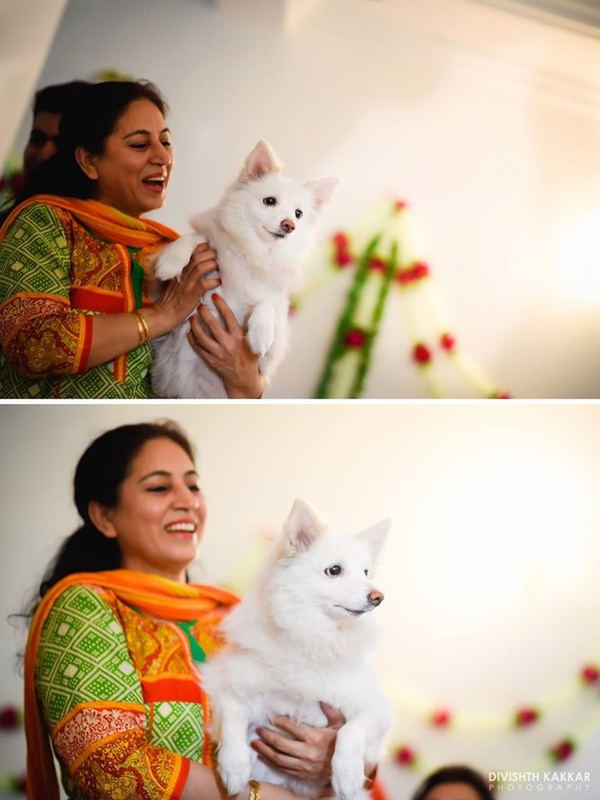 Akhil complimented her in a simple yet classy blue and white kurta set. 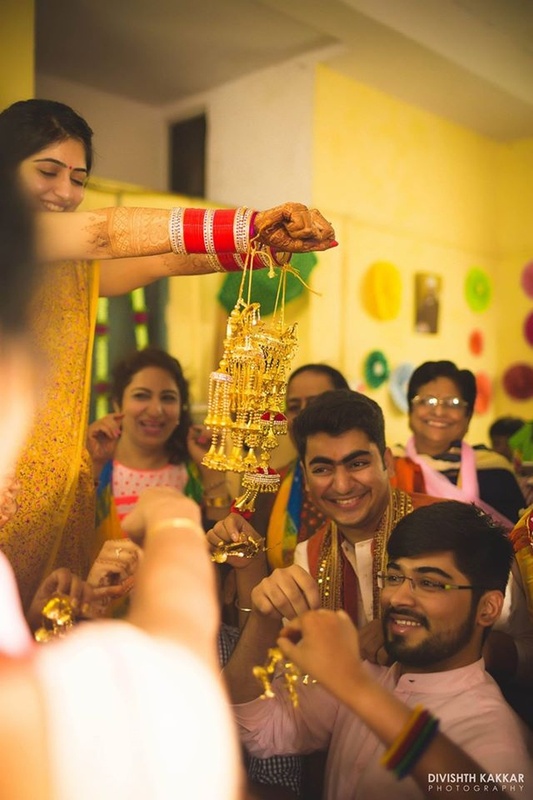 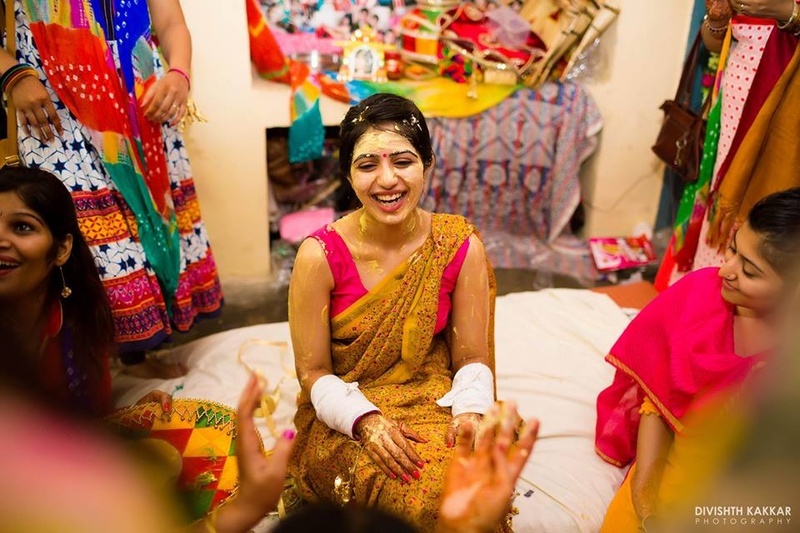 The big day kick-started with a Haldi and Kalire ceremony. 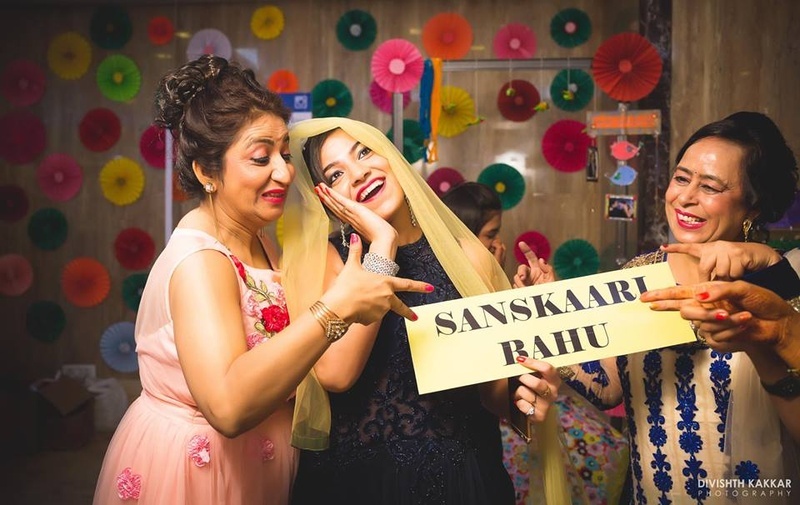 Plus points to Ankita for choosing to add a little nostalgia to the event by wearing her mum’s saree that she got refurbished. 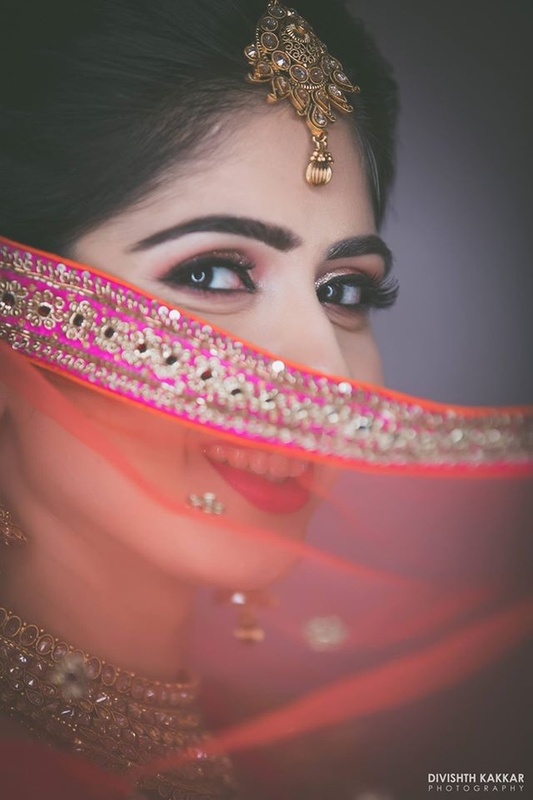 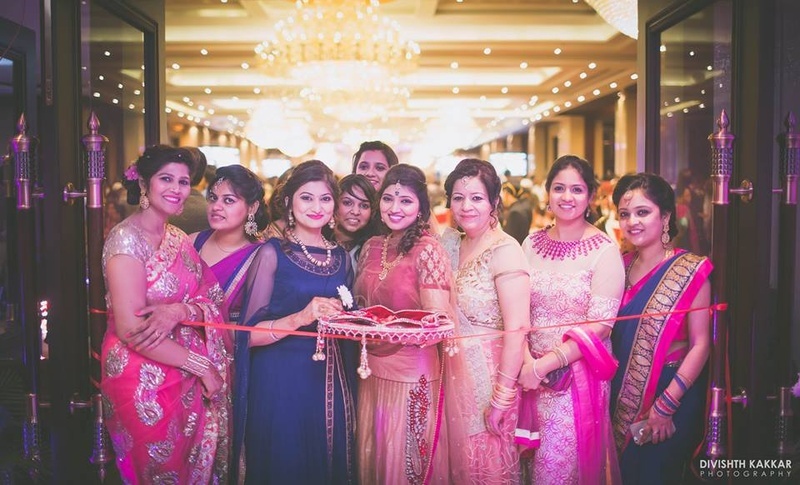 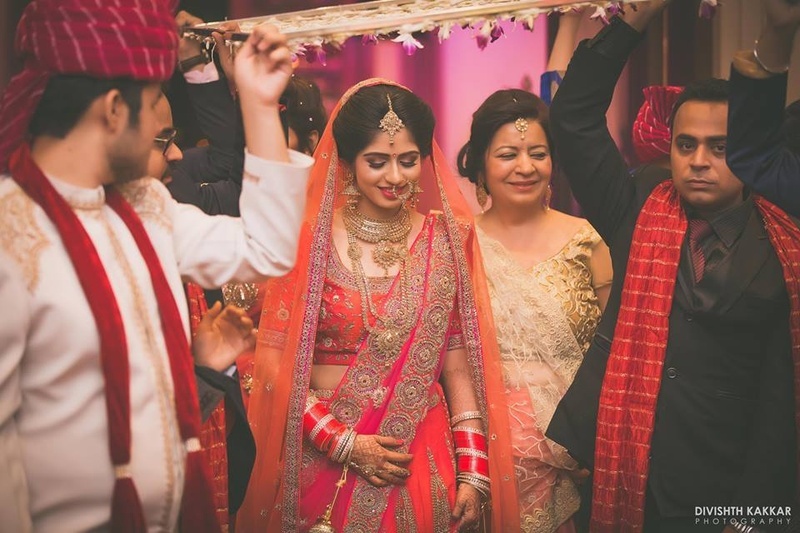 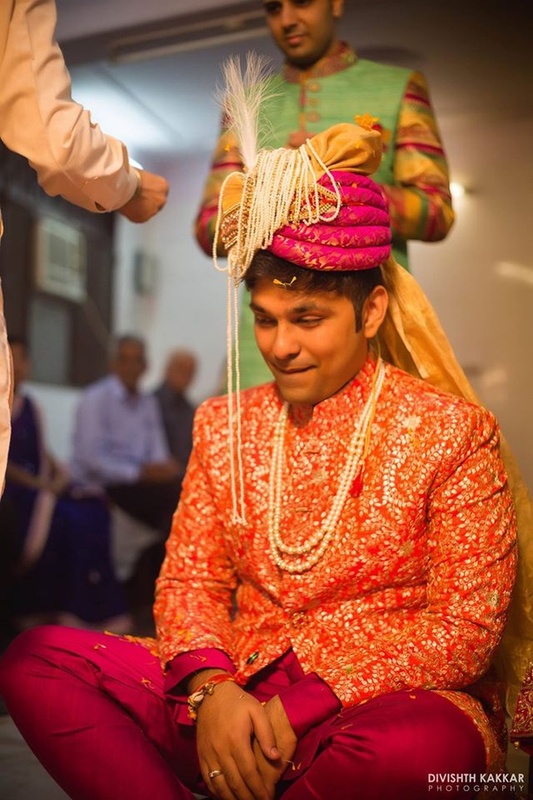 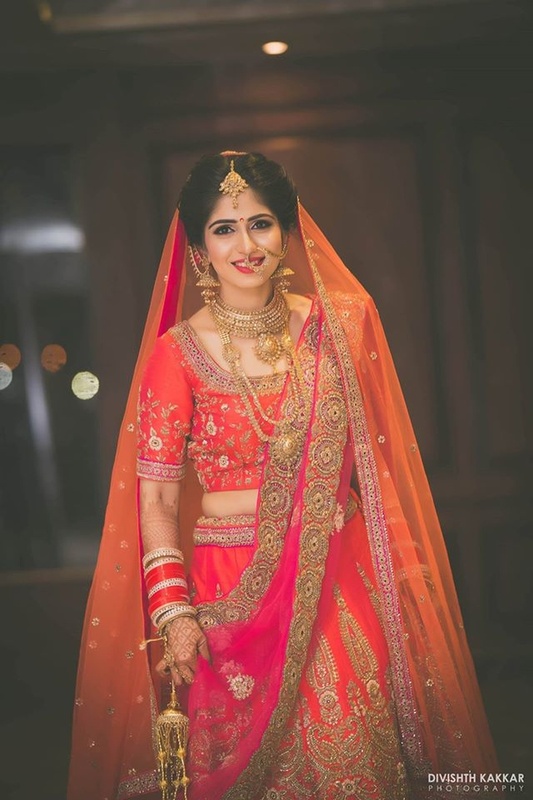 The day went on and the wedding ceremony at Heritage Grand, Delhi saw her in a beautiful orange and pink lehenga with gold embroidery. 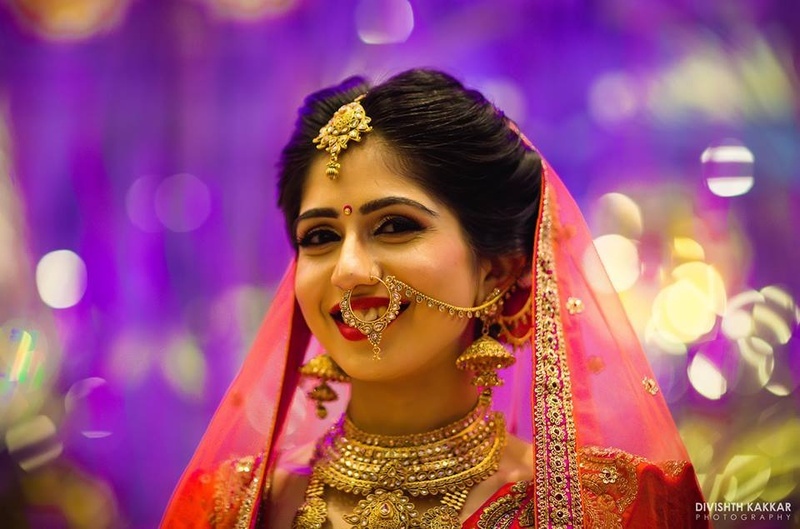 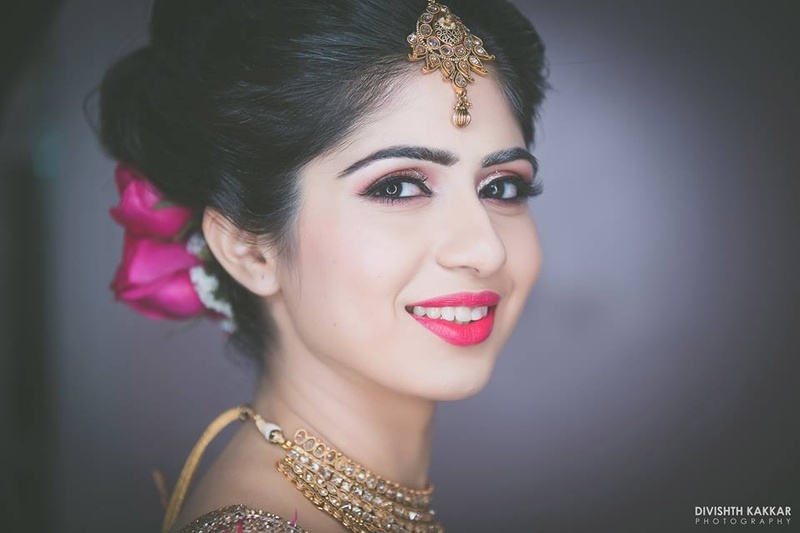 She accessorized brilliantly with matching gold jewellery. 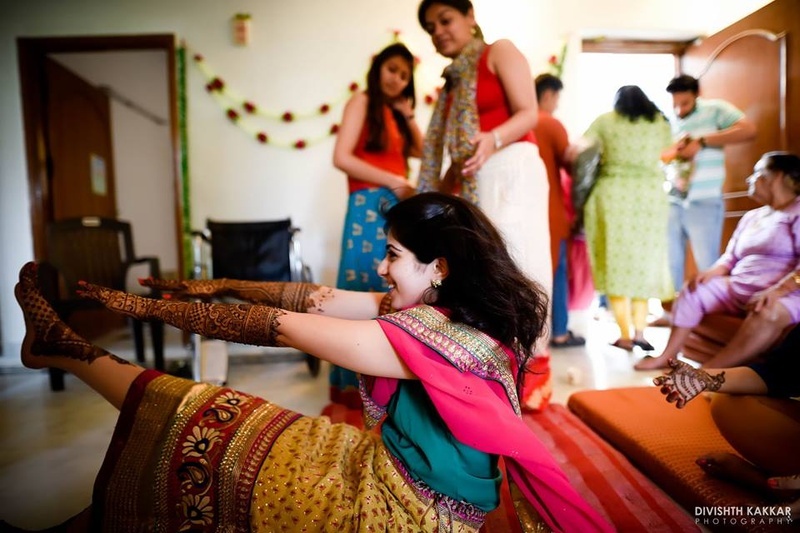 What stole the limelight was her statement nath and unique earrings. 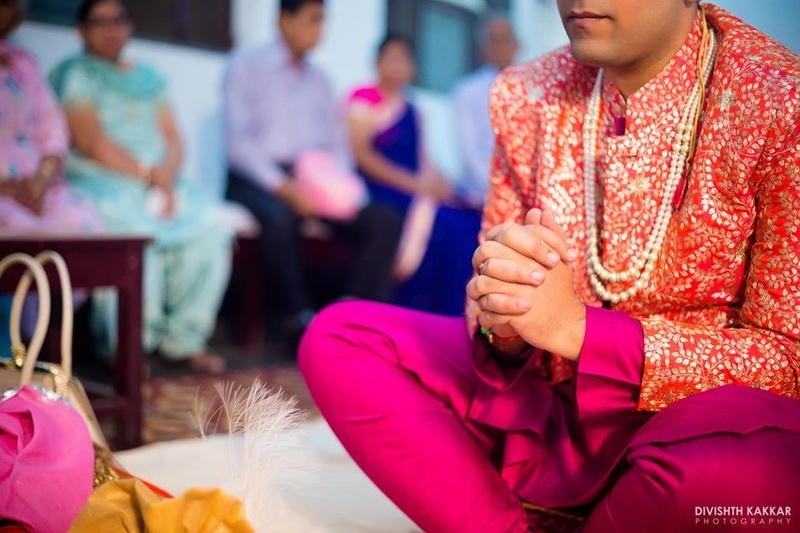 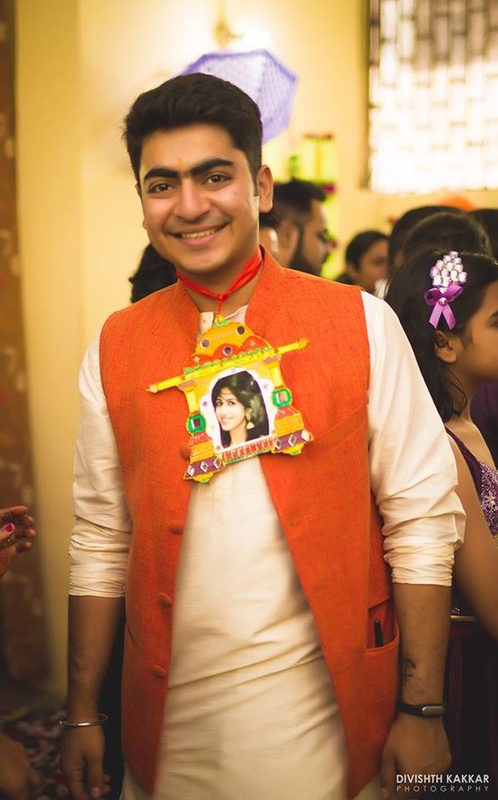 The groom looked just as handsome in a heavily worked sherwani that complimented the bride’s choice of attire. 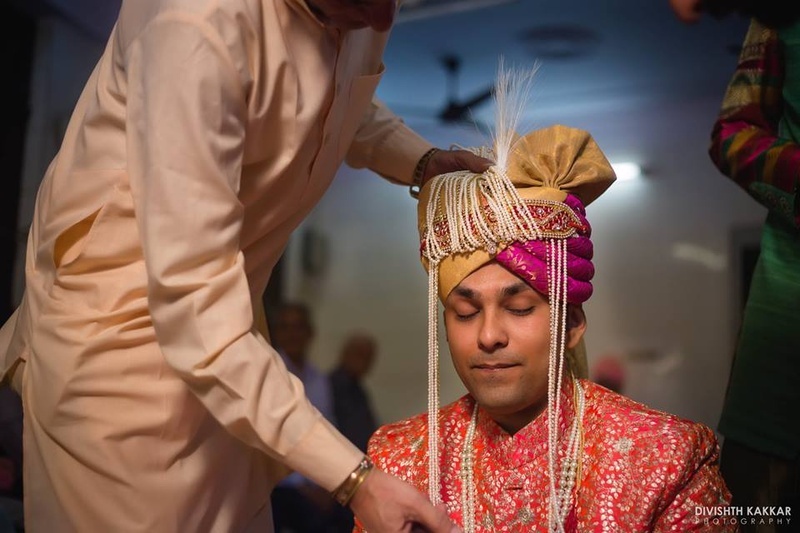 To top it all, he added an orange and pink safa as well. 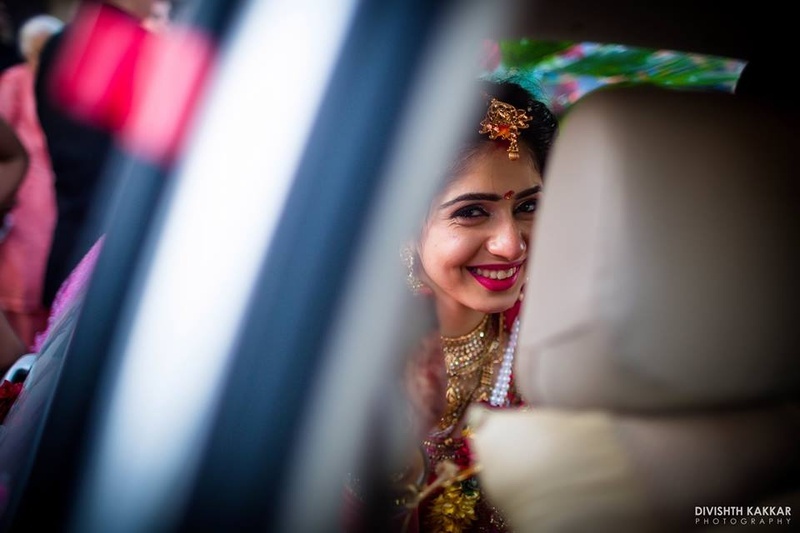 All in all, the adorable wedding moments are not just a treat to the eyes but will also capture your heart.